Playing in his sixth international cup veteran Michito Sakaki (pictured left after the match) showed his experience leading his team to a 19-point win over the Pakistan Shaheens at Marty Busch Rec Reserve in Sebastopol. The match was moved from Mt Clear College as the ground there was deemed not up to standard for this match. 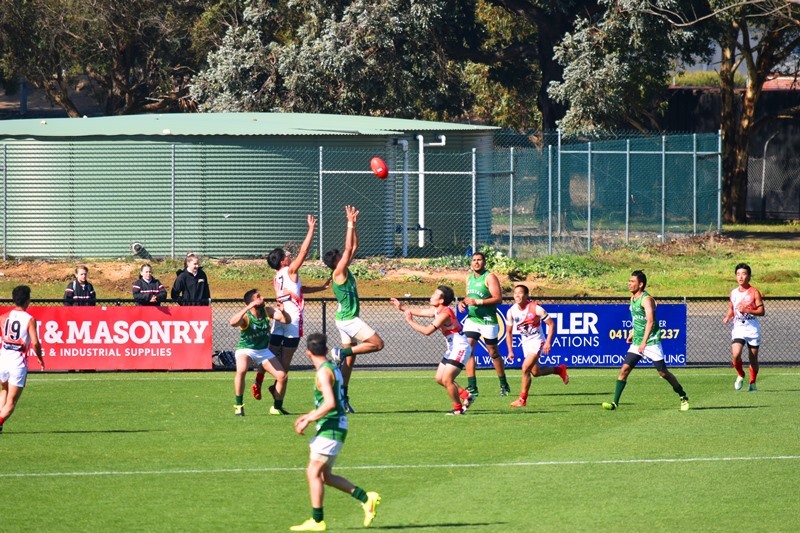 Marty Busch Recreation Reserve was however in fantastic condition, outside of AFL venues one of the best prepared International Cup grounds I have personally seen. Students from Mt Clear college were bussed to the ground and enjoyed the international footy experience. Played in sunny conditions with a light breeze conditions were very good for footy. From the start Japan dominated play with good numbers at the contest and Sakaki was in everything. Akita, Kuno and Sato were very mobile up forward and providing good targets but early on the delivery made it easy for the Pakistani defence to spoil and lock up play. 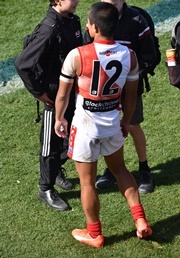 A one point return in the first quarter was a poor return given the amount of time the ball was in the Japanese half. Big men Daneyal Khan and Chaudary for Pakistan were the most effective. Pakistan had the breeze in the second quarter and the play was more evenly spread with both teams breaking even at half time. 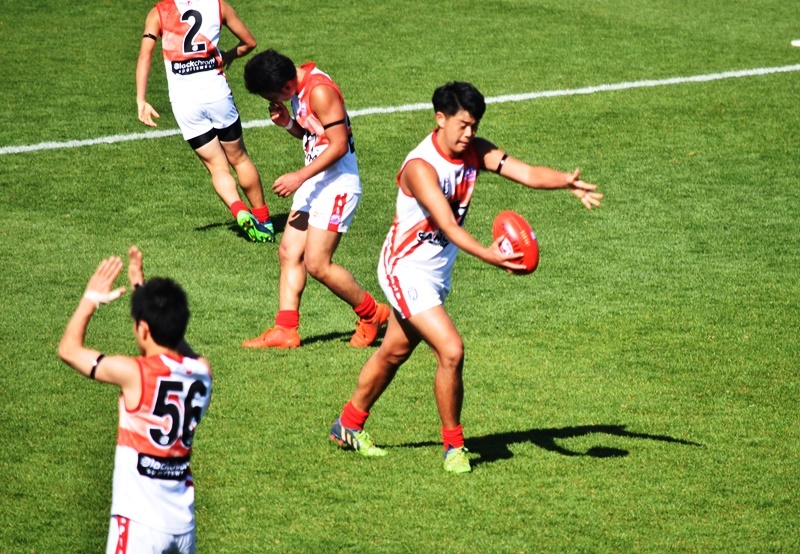 The third term saw better ball use from the Japanese Oura and Koroda along with Sakaki worked well together and allowed the Japanese to keep their nose in front going into the last quarter. In the final quarter Sakaki willed his team over the line continually getting to the contest and coming out with the ball or linking up with one-two hand offs and delivering to Akita and Kuno. Daneyal Khan, Shah and Hussein at times looked like they could take the game up to Japan, but the staunch defence in the last quarter kept them out. You can hear our full audio commentary of the match below (and also some AFL Japan video of the match further down).